Every now and then, you may notice that your skin gets dry, flaky and starts to shed. This is because your skin is in a constant state of renewal, replacing old cells with new ones. This process of new skin growth takes about 30 days, working at renewing 30,000 to 40,000 skin cells each minute. Once we reach adulthood, approximately thirty years of age, your skin’s cell production slows down, causing dead skin to remain on the surface of your skin and making it appear dull and lifeless. Here is when a topical application of skin care products, containing stem cell extracts, can help your skin tremendously. The use of plant stem cells has created a big buzz around the skin care world and rightfully so. There is intensive research that shows great potential to in plant stem cell to renew itself and repair damaged tissues. Stem cells have the ability to turn into specialized cells, meaning they can be duplicated and made into any type of cell. They boost collagen, provide antioxidant protection, protect against sun damage, brighten and repair damaged cells. These damaged cells need to be removed, using a good exfoliant, and in turn making your skin look brighter and allowing skin care products to penetrate into your skin and work more efficiently. 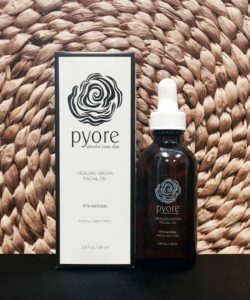 Pyore adds plant stem cells to your skin care regime for you to get the perfect anti-aging, collagen building products which, will give you the boost you are looking for. Your skin is probably the only part of your body, that makes you happy when plump. 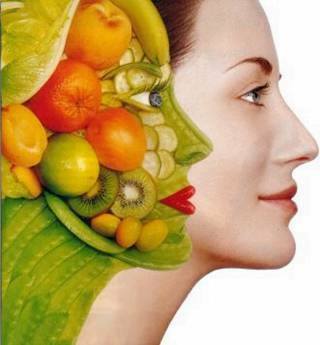 Here is where antioxidants come into play, by helping your skin plump out and make it appear more youthful. The first thing in an antioxidant’s to do list is to reduce the appearance of wrinkles and fine lines. Antioxidants not only reduce fine lines but also help, calm your skin, reduce appearance of scar tissue and repair sun damaged skin. Antioxidants, as the name suggests, prevents your skin from oxidation by stabilizing free radicals. For instance, if you cut up an apple and it come in contact with oxygen, it turns from white to brown in no time. However, if you added lime juice (an antioxidant) to the apple, it delays the browning of the fruit. Therefore, the next time you are choosing your skin care products, make sure it is loaded with antioxidants and make your skin go Ahhhhntioxidants!!! Wait What? Is it really, that similar to the oil that our skin naturally produces? Is the reaction we get when we tell people that Jojoba oil is structurally and chemically very similar to the oil produced by our own skin. During the 18th century, the importance and versatility of jojoba was discovered by the Native Americans on the Baja California peninsula. In those days the indigenous people used jojoba by first heating it and then using a mortar and pestle to create a salve or buttery paste. It was then used on skin and hair for its healing and conditioning properties. Jojoba is now predominantly used in skin care products for, it is loaded with vitamin E, essential fatty acids, antioxidants and anti-inflammatory properties, making it one of the top choices for your skin. Just like its color, jojoba oil is considered golden in skin care, for its antibacterial, non-toxic, non-comedogenic and non-allergenic properties. So, it was a no-brainer when it came to deciding on ingredients for Pyore, which would be incomplete without incorporating jojoba oil in it. Now, folks with oily skin might wonder, why they should use more oil, on top of their already oily skin and clogged pores. 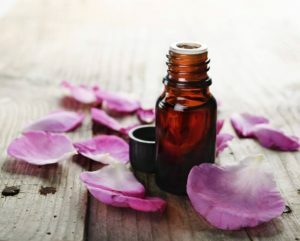 To their relief, jojoba oil is so similar to the skin’s own oil, that it can trick your skin to believe that it is making enough oil, and doesn’t need to produce any more. Oh, did I forget to mention that it also has a mind of its own. 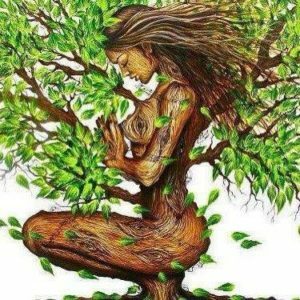 More, More, More – Why we love Moringa! 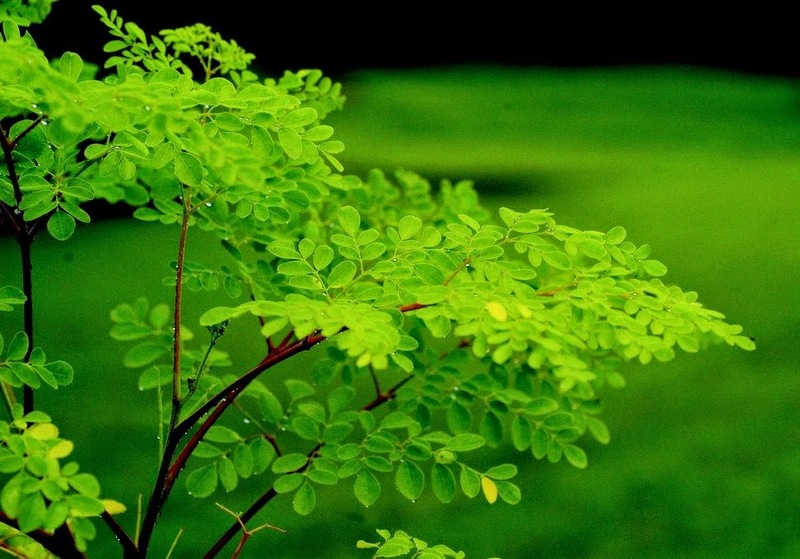 Want to know more about Moringa? Here are a few facts: Moringa trees are extremely nutritional and useful, native to the Himalayas, India, and parts of Africa. The trees grow a pod or a drumstick, jam packed with value. …3 times the Potassium of a Banana. …4 times the Calcium of a Glass of Milk. …2 times the Protein of a Glass of Milk. …4 times the Vitamin A of a Carrot. …7 times the Vitamin C of an Orange. Moringa is called the “Never Die Tree” in parts of Africa because it is so resilient, thriving in even the harshest of environments. …Omegas 3, 6, and 9. When crushed, Moringa seeds bind together naturally, causing fine particles, salts, bacteria, and other impuritires in river or lake water to clump together for easy removal, an important step in the process of readying water for sanitary drinking. Moringa seeds can be pressed to extract a highly versatile oil. Moringa Oil is highly moisturizing for the skin, hair, and nails. 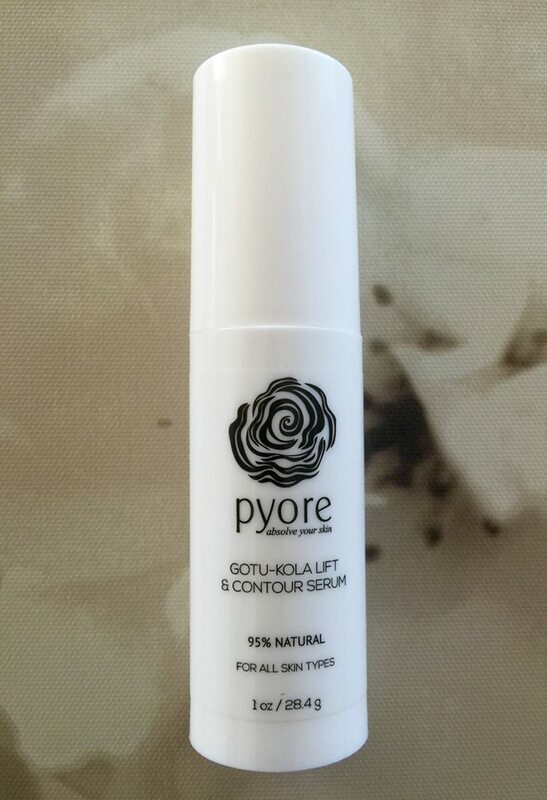 Moringa is the foundation of Pyore’s new skin care line – When it comes to Moringa, we say more, more, more! The crisp fall air is here! 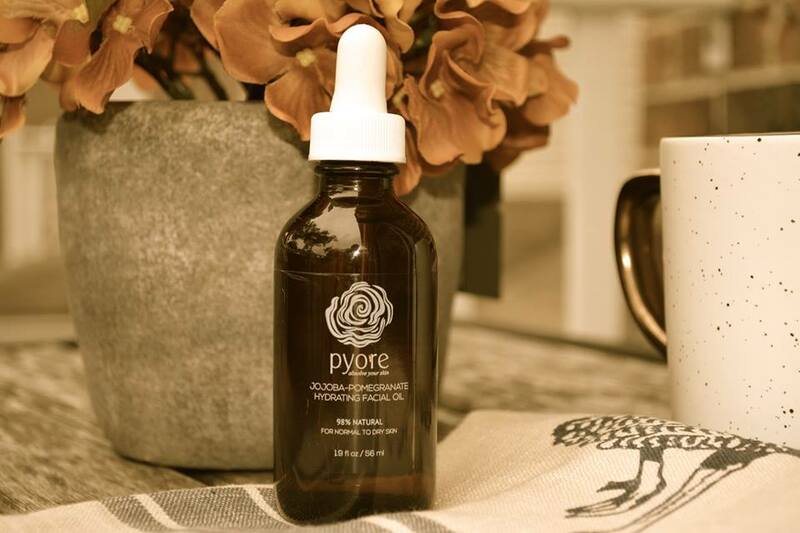 Make sure to protect you skin this season with our Jojoba-Pomegranate Hydrating Facial Oil. Moringa is considered a super food like kale. It’s from the Himalayas where it’s known as the Tree of Life. One single pod has 7 times the vitamin C of an Orange. And not just vitamin C, Moringa leaves are packed with protein, Vitamins A & B, calcium, iron, copper, and magnesium. So why put this superfood in a skin-care product? 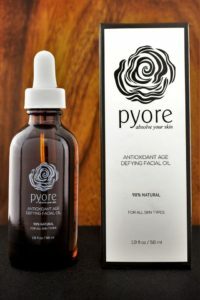 Well, in addition to Moringa’s anti-aging and antioxidant abilities, it softens dry skin, maintains moisture, conditions chapped lips, helps clear blemishes, rejuvenates and revitalizes aging skin. 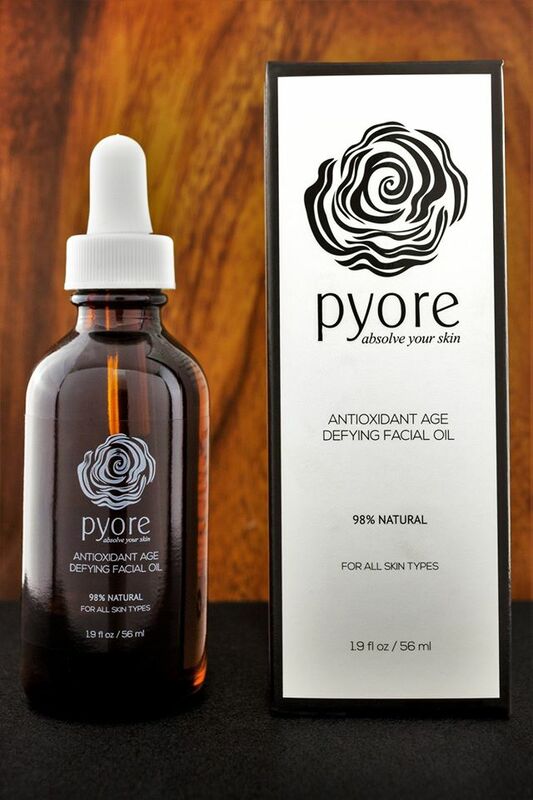 Argan Oil teams up with herbal antioxidants and Vitamins A, C and E to soften the look of lines,wrinkles and crow’s feet and protect skin against aging. Use this all-around skin healer as a daily essential facial fluid or hydrating toner. 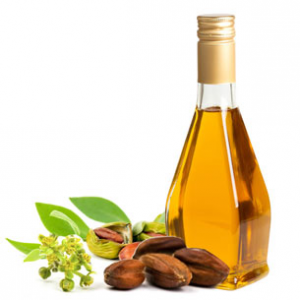 Smooth and never greasy, this versatile oil can also be used as a natural remedy for stretch marks and dry scalp. Add a few drops to your daily moisturizer for a hydrating booster or use as is. Get your own Healing Argan Facial Oil exclusively online at www.pyore.com ! The Gotu-Kola Lift and Contour Serum is an essential daily fluid for mature skin, this cocktail of naturally anti-aging herbal extracts, humectants, plant-based stem cells and anti-inflammatories fight the signs of aging on many levels. 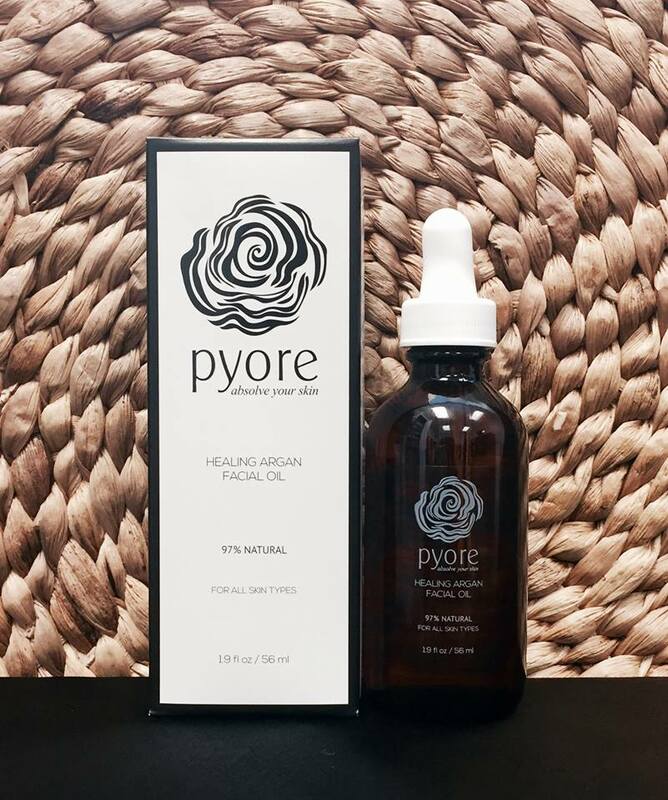 Naturally protective and reparative extracts deeply hydrate and help strengthen skin’s natural structural integrity. Mature skin will get a lift from collagen-building Gotu-Kola extract, while Echinacea calms and helps fight aging inflammation. 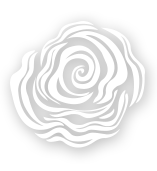 Apple, Orange and Alpine Rose stem cells help “reset” skin’s ability to maintain normal cell function.